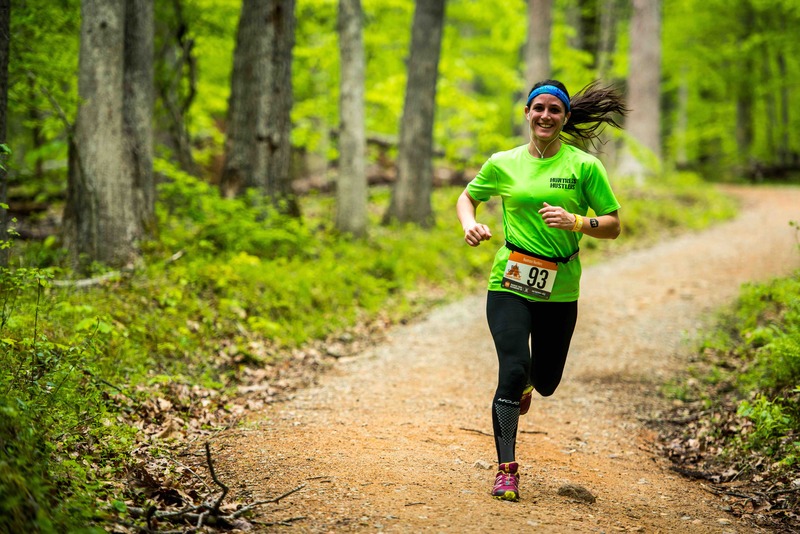 Ragnar Trail Sirromet-BNE is the ultimate trail running weekend getaway. Runners will come together on April 27-28, 2019 at the stunning Sirromet Winery, located just 30 minutes from Brisbane and the Gold Coast. A renowned event venue, participants will enjoy world-class facilities while experiencing the challenge of 180ish kilometres of trail loops that take in the vineyards and undulating running trails across this impressive property. Runners can arrive on Friday afternoon to set-up camp and ready for a weekend of awesome running and fun. Friday night is all about anticipation and your first chance to visit the Ragnar Village to grab some food, buy Ragnar gear, be entertained by on-stage performers, watch a movie, hang out around the fire, take part in contests and enjoy the whole Ragnar Trail experience. 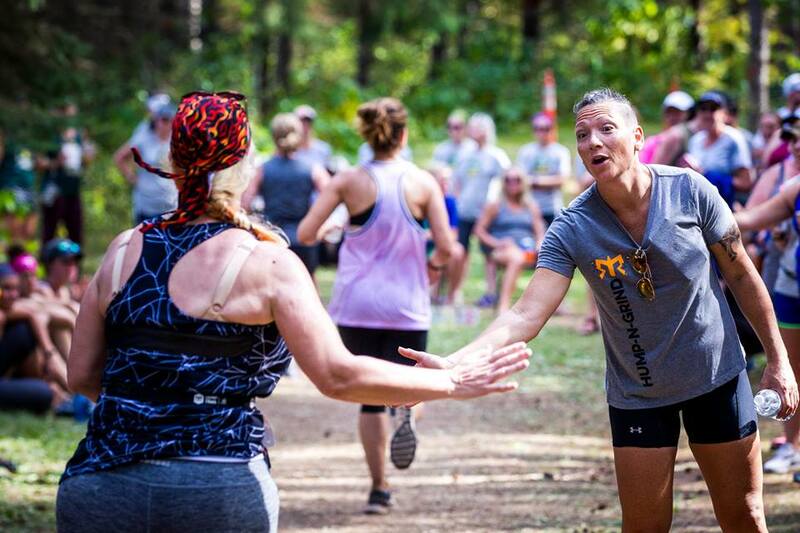 On Saturday morning, the start gun goes off, and teams of 8 (or 4) set out to conquer a series of three smooth single track trails that start and finish at Ragnar Village. 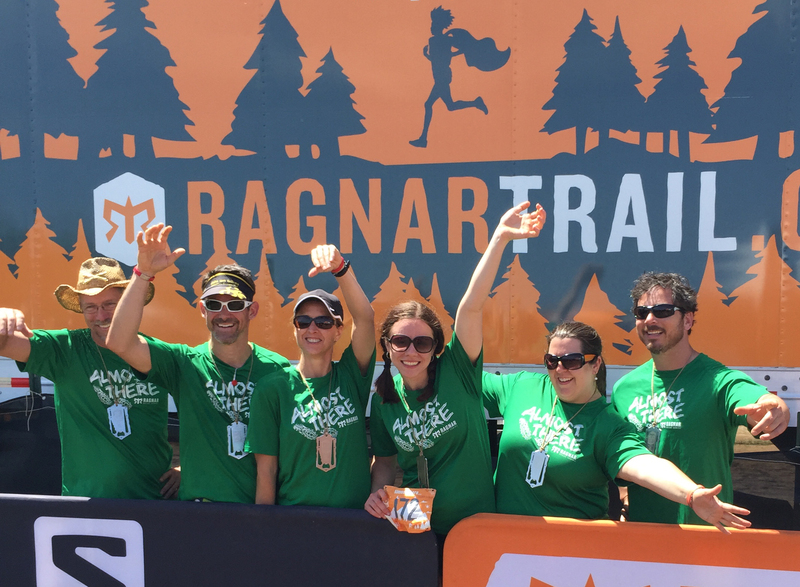 Ragnar Trail is an overnight trail running adventure that you can only do with a team. And when the sun goes down, runners make their way through the night with headlamps until every person on their team has completed all three loops on Sunday. A shelter of native Australian gum trees, growing vines, freshly cut trails through long grass and challenging climbs and open, winding fire trails - this venue has it all! Mark your running calendar and get ready to celebrate with your team all day (and night, and day again) around the campfire where you can enjoy friends, s'mores, music, movies, and a billion stars overhead! The venue for Ragnar Trail Sirromet - BNE is located at stunning Sirromet Winery, located just 30 minutes from Brisbane and the Gold Coast. A renowned event venue, participants will enjoy world-class facilities while experiencing the challenge of 180ish kilometres of trail loops that take in the vineyards and undulating running trails across this impressive property. Ragnar Trail Sirromet is held from April 27-28, 2019 with check-in and camp set up available from 3pm on Friday April 26. Below is the top-line schedule for the 2019 event, which will be added to with additional details over the coming months. Friday afternoon is all about check-in, camp set up and making your first visit to Ragnar Village to enjoy the music, games, bonfire, s’mores, sponsor booths and food options (more info soon). Arrivals, parking and camping set-up. Safety video and check-in open in village. Ragnar Village is open with music, games, food, and sponsors. It’s game on today! The first wave starts get underway at 7am and will be the first people to ever participate in a Ragnar event in Australia. Exciting! Last Runners Allowed out on course. All teams will be allocated a wave start time. Wave start times will be determined by the average pace that a team indicates in the registration forms. Teams indicating the slowest average pace will be allocated the first wave starts to allow the maximum time possible to complete the course. The first wave start is 7am on Saturday April 27. Teams with fastest average pace will be allocated the last wave start times, which will start no later than 3pm on Saturday April 27. Wave start times for all teams will be confirmed following the close of registrations (March 30, 2019). The time between each wave start will be determined based on the total number of team registrations. Once confirmed all start times will be posted on the event website and sent to all participants via eNewsletter. The first runner for each team must be at the transition tent no less than 15 minutes prior to their wave start. All teams who have been allocated a Start Time before 10am on Saturday April 27 must check-in on Friday April 26.
a) Toilets: Portable Toilets are available on-site for the duration of the event and accessible by all participants and supporters. b) Showers: There are no permanent showers available on-site at Sirromet. We are exploring the option for a set of temporary showers in the Ragnar Village, which will be accessible to participants on a user pays basis. More information will be updated in the Runners Packet once details are confirmed. c) Power: There is no power to campsites and under no circumstances are participants allowed to bring and operate generators in the Ragnar camp village. We recommend you bring solar or battery powered lamps and torches on site to assist with night vision. d) Phone Charging: A central phone charging unit will be available in the main Ragnar Village and is available for use by all participants. This is FREE to use, but, it will no doubt be popular and please expect some wait times. 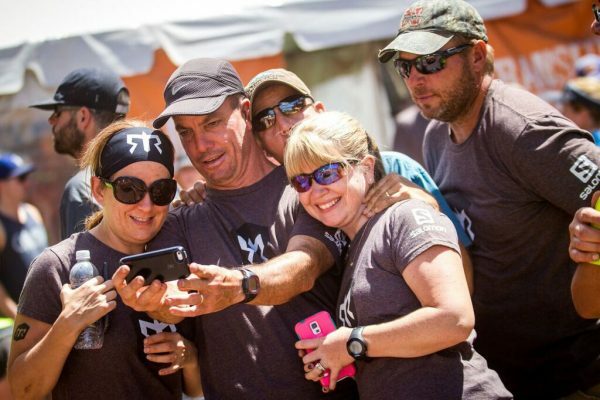 Those Ragnar selfies chew into your battery life! Outside of this we recommend you bring a battery recharger as a back-up. You won’t go hungry or thirsty at Ragnar Trail Sirromet. a) Bring Your Own – Participants are welcome to bring your own food and snacks for Ragnar Trail Sirromet. In our US events, some people go all about and bring their own gas BBQ (no wood or charcoal BBQ’s allowed) to feed their hungry team across the event. Bring an esky with your favourite drinks to keep you cool. b) Food Vendors – food vendors will be on-site from Friday April 26 – Sunday April 28 with a variety of tasty options for you to purchase. Details of food vendors and menu options will be updated in the Runners Packet as they are confirmed. c) Saturday Night Meal – All participants will receive a meal on Saturday night, served on-site at Sirromet Wines. This “pasta buffet” style meal will keep you warm and energized. The meal is FREE for all registered participants and will be served between the hours of 5pm and 10pm to ensure all participants have a chance to grab a meal. d) Beverage Sales – Beer and wine sales will be available at selected times on Saturday and Sunday of the event. e) Water – water trucks will be on-site for you to access fresh drinking water and fill up your hydration packs. Parking is available on-site at Sirromet Wines for a flat fee of $25 per vehicle (cash payments only) for the event period inclusive of Friday April 26 to Sunday April 28. Parking is available in the dedicated Ragnar Trail Sirromet parking area only and vehicles are not permitted to park anywhere else within the Sirromet Wines property. Any vehicles parked outside of the designated parking area may be removed by the venue owners. There is no car parking beside participant camp sites. No vehicles whatsoever are allowed within the camp village. Participants must park within the designated parking area only and transfer camping equipment to the camp-site, which is adjacent to the parking area. The Parking lot is around 200 metres from the village if you need access to your vehicle during event hours. That said, make sure that you take everything that you need with you when you arrive to save having to go back and forth. This is easy to achieve, as you only really need your camping gear, snacks and food, warm clothes, headlamps, and running gear to make it through the race. A Security guard will be on-site at the parking lot during unstaffed, overnight hours. Anything other than a regular sized vehicle will not be allowed in the Ragnar parking area. (RVs, Trailers and Pop Ups will not be allowed in general parking). See section 9 for more details. Glamping will be offered for Ragnar Trail Sirromet. Details are being finalized and will be updated in the Runners Packet and the event website when confirmed. Glamping includes Friday and Saturday night camping and includes at a minimum (for a Standard Team) four x 2-man tents, 8 camp chairs, 8 stretcher beds, camp table and access to dedicated toilet facilities and phone charging station for Glamping participants only. Glamping will be available for check-in from 3pm on Friday April 26, 2019. Glamping participants will still be required to bring all of your running equipment, food (if desired), sleeping bag and pillow and any additional items that you individually require for your own comfort and participation. Camping on Friday and Saturday nights in the Ragnar Village is included in your registration fee. This includes camping for all of your team and support crew (family and friends). Here’s some handy tips to keep in mind for your camp site preparation and set up. Each team campsite should be restricted to a 100m2 footprint (no more than 10m x 10m) inclusive of all tents, tables, chairs, shelter, BBQ’s and whatever else you bring. There is no camping in or on the marked course and walkways through the camp village. You’ll need to bring all of your own camping gear to set up on-site. With the exception of the Ragnar Glamping offering, there is no hire of general camp equipment via Ragnar for this event. There is no power for camp-sites, however, there are strictly NO GENERATORS allowed in the camp village. Bring some battery or solar powered lights with you as part of your camping equipment. Anything other than a tent (i.e. caravans, camper trailers, RV’s) and normal camping equipment will not be allowed in the Ragnar camping area. There are no dogs, or other pets, allowed anywhere at the event, including the Ragnar camp village. Teams may select their campsite upon arrival (first come, first served) however, you cannot reserve a campsite prior to the event, nor can you pay to allocate a specific area during the event. Camp sites are selected on a first come, first serve basis. If you are very specific about your campsite location, we encourage you to arrive at 3pm on Friday April 26 to secure your best campsite. 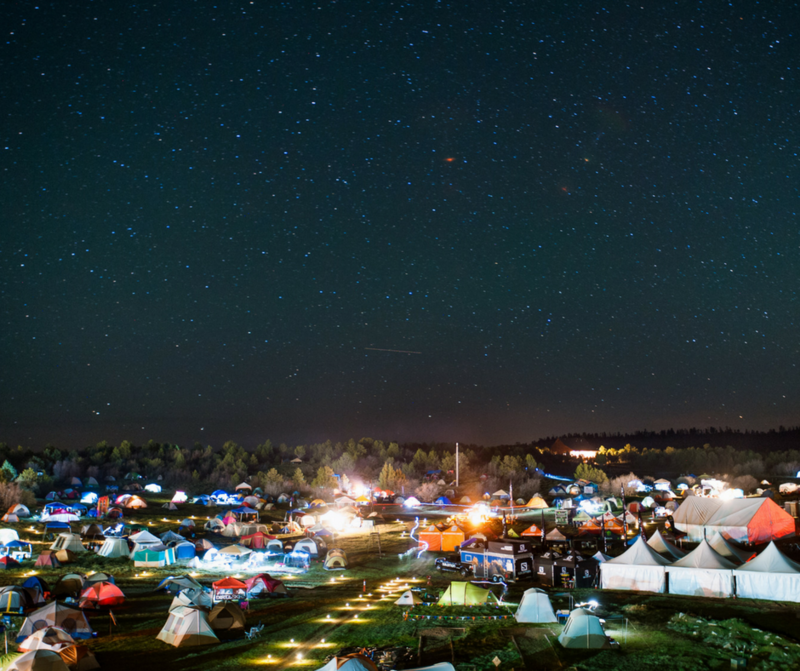 Quiet hours for the campsite are 12am – 6am. No loud talking or music playing during these hours. NO parking is allowed in the Village, camping, along any road or in the area because we are obligated to keep lanes open for emergencies. Any vehicle found unattended in these areas will be towed and your team may incur penalties. NO open fire pits or flames are allowed in the camp site. Get creative with your campsite! An award will be given for the best decorated team campsite and almost anything goes: tents, canopies, camping chairs, kiddie pools full of Kool-Aid, mascots, Karaoke machines, margarita machines, team mascots, whatever! Don’t hold back, don’t forget to integrate some Ragnar logos or references, and have a lot of fun with it! We’ll be preparing (and sharing with you) a Ragnar Trail packing guide to help you sort out everything you need for your Ragnar Trail campsite in the coming weeks. RV’s Caravans and Trailers are allowed on-site at Ragnar Trail Sirromet, however, you must complete a Reservation form for an RV, caravan or camper trailer. If you do not have an RV, caravan or camper trailer reservation you may not bring your RV, caravan or camper trailer. Upon arrival at the venue, event staff will direct those with reservations to their appropriate space. Participants utilizing an RV, Caravan or Camper Trailer will be located in a designated area for the exclusive use of RV, Caravans or Camper Trailers only. Note that team members not sleeping in the RV, caravan or camper trailer cannot set up tents in this area and those team members will have to set up tents in the general camp village, meaning that you will be in separate locations from any team members sleeping in tents. There are no general team tents to be set up in the RV, caravan or camper trailer area and there is absolutely no exception to this rule for safety reasons. Any team found to be setting up tents for participants not using the RV, caravan or camper trailer will be disqualified from the event. There are no powered sites available in the RV, Caravan or Camper Trailer area and each unit must be self-powered. No external generators are permitted in the site and vehicles may not be “running” in the RV, Caravan or Camper Trailer village once parked. RV’s will be subject to the $25 parking fee attributable to on-site parking and vehicles attached to the Caravan and/or camper trailer will also be subject to the $25 parking fee. There is no additional fee for the additional caravan or trailer. 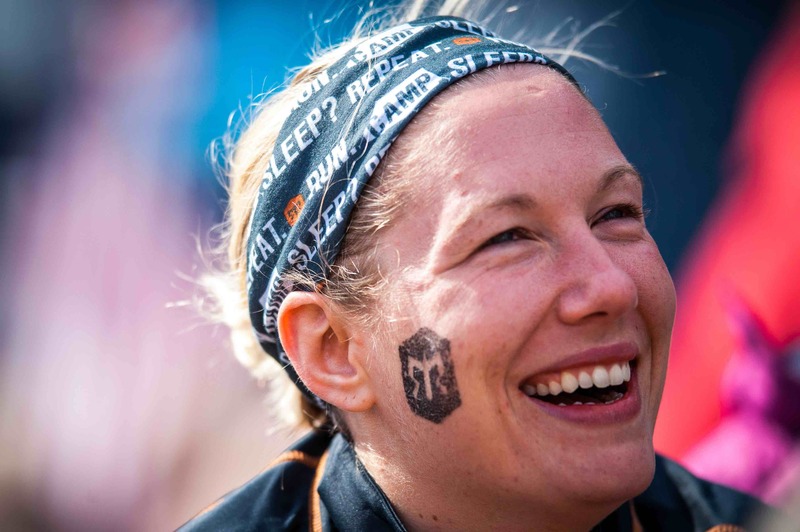 A RV, caravan or trailer booking form can be requested by emailing hello@runragnar.com.au. Massage services will be available on-site at the event on Saturday and Sunday of the race. Details are being finalized and will be updated in this Runners Packet when confirmed. Massage will be on a user pays basis. Your family and friends are welcome to attend Ragnar Trail Sirromet with you to cheer you on and assist in your efforts. They can camp on-site, however, the footprint of your camp site must not expand beyond the allowed 100m2 per team. There is no charge for supporters on-site, however, any additional vehicles parked on-site will be subject to the standard parking fees and supporters will not have access to the free meal on Saturday night. They will be able to purchase from the on-site food vendors. Supporters, family and friends are not permitted to be on any of the run course with you at any time. Ragnar Village is the heart and soul of the Ragnar Trail Relay. Each trail loop begins and ends in the Ragnar Village. It is the start line, the finish line, and the exchange point. After each loop you will return to the support of your teammates and the adulation of the teams around you. The Village includes live entertainment, bonfires and s’mores, Ragnar Gear Store, Event HQ, sponsor activations, food trucks, Saturday night meal, games and more! The course at Ragnar Trail Sirromet is in development with our friends at Sirromet Wines. Participants in a standard team are expected to run a total of circa 24km’s across the three loops. All three loops begin and end at the Ragnar Village. Here’s the flow, and what you need to know, for when you arrive on-site at Ragnar Trail Sirromet. Upon entering the venue, please follow signs to parking. You will be stopped at the front of the parking lot to pay the parking fee. You will receive a parking pass for the event. The parking lot is attended and you will be guided to a designated parking area for your vehicle. You must park as instructed by the parking attendants. Safely unpack your camping gear and walk it over to your chosen campsite. The parking area is a short walk from the campsite, but between all of your team it won’t be that arduous to transfer your gear to the campsite. If you want to bring a small trolley (not a supermarket trolley!) to help with your transportation of your gear from your car to your campsite, that is a great idea! You can set up your campsite before or after you watch the safety briefing video and check-in at Ragnar HQ. If you choose to set up your campsite before the safety video and check-in be sure to familiarize yourself with the camp village set up rules before establishing camp. See Section 8 for all of the details. Before you go to HQ to check in, your entire team must watch a 10-minute safety video. After you have watched the video please have only one member of your team go to HQ to get your team's bib, food tickets, shirt tickets, and other goodies. Check in is open on Friday April 26 night from 3pm - 10pm and starting again from 7am on Saturday. If your wave start is not prior to 10am on Saturday and you don’t have time to check-in Friday night, no worries, as check-in will flow smoothly until the 12pm on Saturday. Before you are allowed to check-in, your whole team must watch the above mentioned 10-minute safety video. After your whole team watches the safety video, only the Team Captain is required to check-in at the HQ Tent to pick up the bib, Saturday night meal tickets and shirt tickets. Volunteers and staff will guide you through this process in the village. To help with the check in process it is very helpful if you know your team number. This helps greatly in the arrival process and keeps the lines moving. Team numbers will be confirmed once event registrations close on March 30, 2019 and will be sent to all team captains. After a weekend of adventure, it will sadly be time to go home. We ask that you please follow our procedures to ensure a smooth exit from Ragnar Trail Sirromet. There is no camping or parking on-site on Sunday April 28, 2019. All campsites must be packed down and all parked vehicles off-site by 7pm on Sunday April 28, 2019. Please clean up after yourselves and leave your campsite the same (or better) than you found it. This really helps our staff out when we do a trash sweep after the race. DO NOT leave any of your camping gear behind. This is not a music festival and we expect appropriate behavior from our participants with regards to camp-site pack down and cleanliness. You can commence pack down as soon as you have finished your race. If you finish before the end of the allocated time for the race (4pm on Sunday) you can pack down and leave the site as you choose. Please be mindful of teams still participating and do not block any walkways or marked course areas during your pack down. Once you have packed down your site, transport it to your vehicle for packing and you can depart the parking area once you are ready to go. Please follow the instructions of staff or attendants as needed.